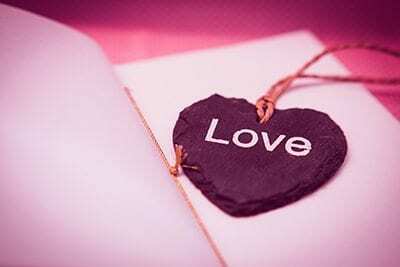 As you read the five love languages below, see if you can identify you and your spouse’s primary love language (or take the quiz here), then discuss with your spouse (or loved one) and try “speaking” in their specific language to see how they respond. Words of Affirmation. You appreciate unsolicited compliments, encouragement, and empathy from your spouse. Hearing the words, “I love you,” is very important to you. Insults and criticism are a drain on your love tank. Quality Time. You respond well to undivided attention, such as uninterrupted, one on one conversations. You appreciate a good listener with direct eye contact and enjoy quality activities together. You find distractions, postponed dates, and the failure to listen to be hurtful. Receiving Gifts. You appreciate thoughtful gifts. They can be bought, found, or made as long as they are significant to you. Missing your birthday, anniversary, or a thoughtless gift would be a drain on your love tank. Acts of Service. Easing your burden is really appreciated, especially when it is something you really don’t like doing. It could be a mundane chore or a task that is very important to you. Taking it off your plate makes your heart sing. What drains your love tank is being taken for granted, sloppiness, or broken commitments that add more to your plate. Physical Touch. Holding hands, hugs, and kisses are expressions of love that resonate best for you. You are hurt when your loved one is being cold and unavailable. At Inspired Financial, we strive to communicate effectively with our clients and knowing what love language resonates best with you helps us to have a deeper relationship. If you are comfortable doing so, please share your primary love language with us. We are happy to share ours and would love to know yours!